Gear Transfer Pumps | EGM, LLC. 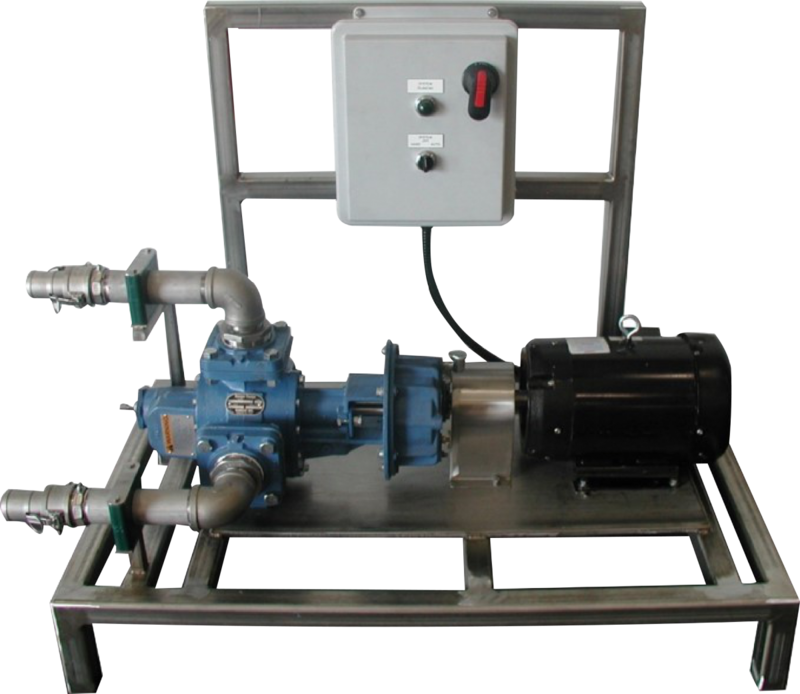 For batch transfer or tank recirculation applications, EGM offers skid-mounted gear pump systems designed for intermittent use. These systems are constructed on TIG welded, tubular, stainless steel skid frames that feature fork-lift pockets for safe and easy transportation. System frames are also designed with additional support and mounting plates as needed to insure the pump and motor mounting integrity is not compromised. Control panels for these systems can range from simple motor starter panels with local operators to automated panels designed to accept remote run signals from external sources, level controllers, batch controllers, or on-board timers. When sizing pumps for intermittent use, EGM is conservative when it comes to selecting pump sizes to keep pump RPM at an appropriate rate to promote long term reliability.